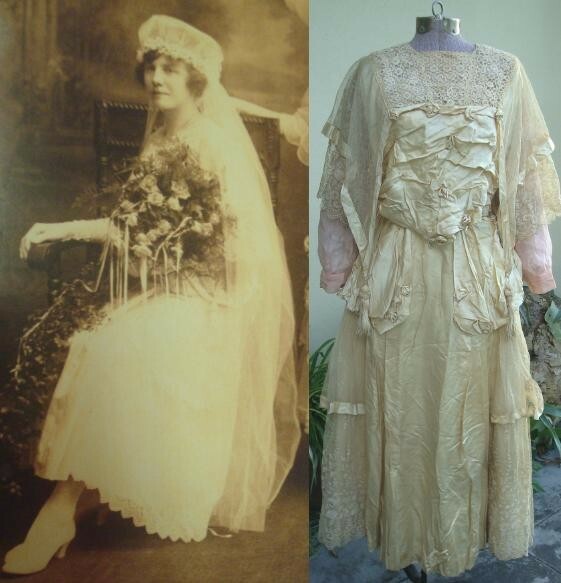 Up for your consideration is a lovely Antique 1912 Edwardian era Wedding Dress. 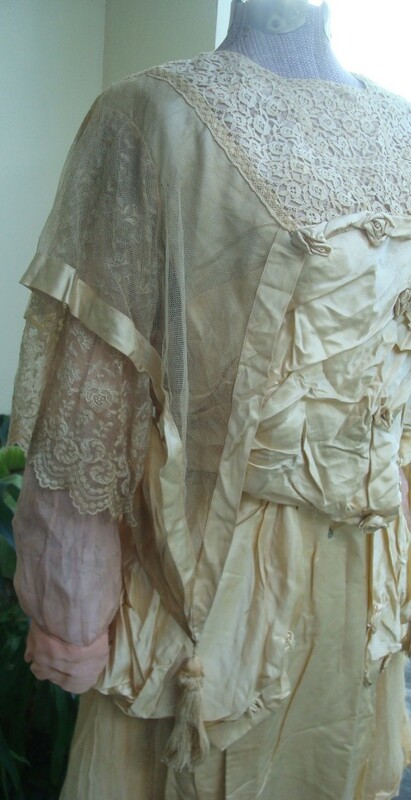 Also included is a printed photo of the bride wearing this dress. This amazing set is made up of a blouse and skirt that snap together. The blouse has a (silk or satin?) bust with accented roses. 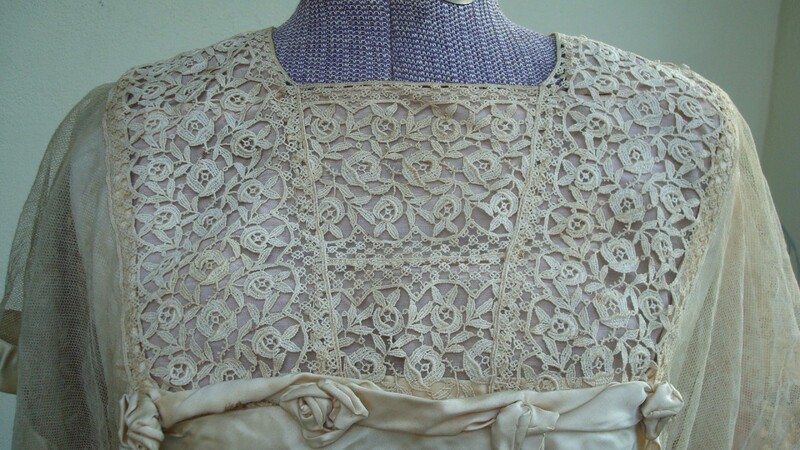 The sleeves and collar are tiered lace, that reveal the pretty pink cotton underneath. Hanging off each shoulder is a netting that comes together with a tassel. 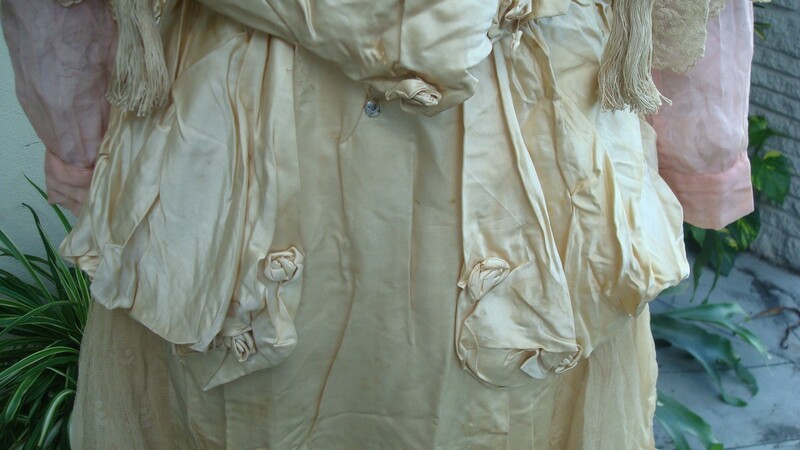 The skirt is also tiered (Silk or Satin?) 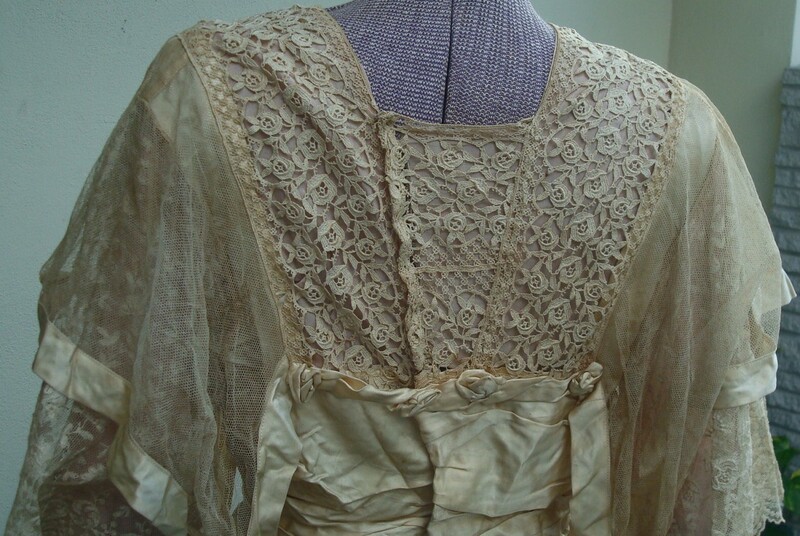 with tiny roses sewn on and lace near the bottom. 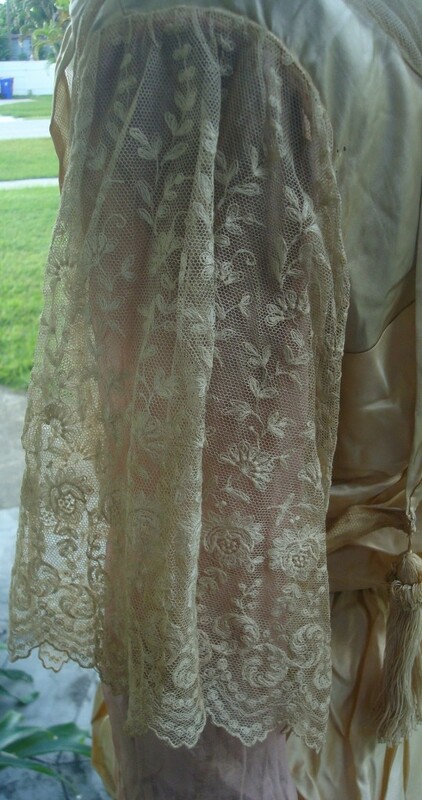 The silky material is a champagne color and the lace is a 'tea' color. 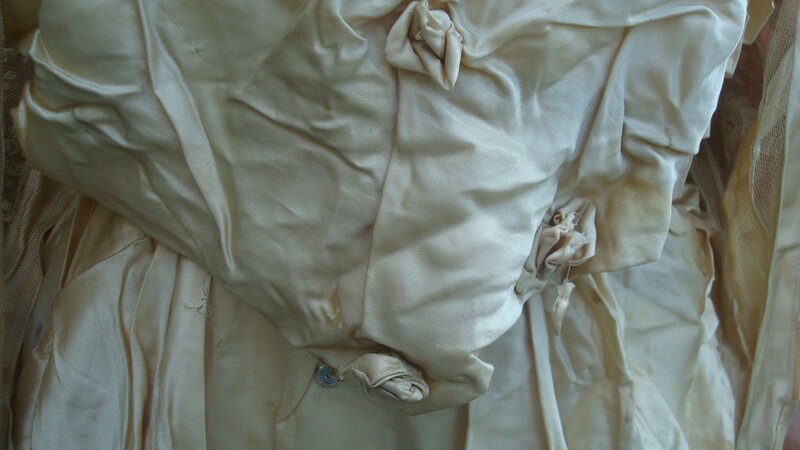 Shoulder to shoulder - 14" Off the shoulder seam to seam 17"
Condition: Overall nice antique condition. There are some areas that have stains. 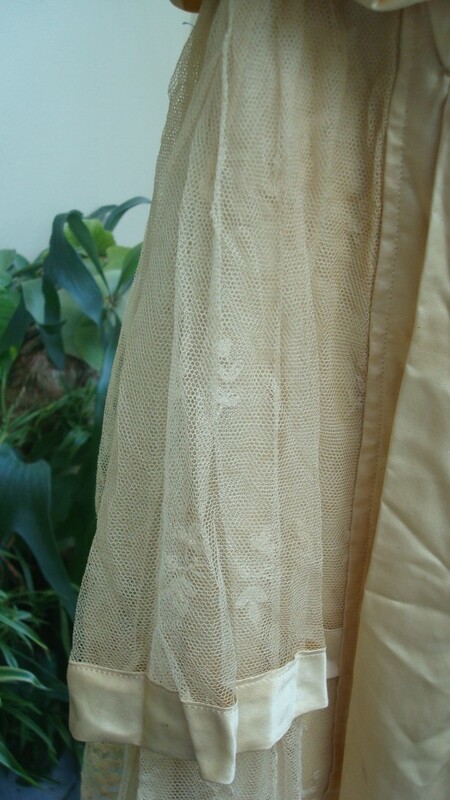 Mainly on the lower part of the skirt. 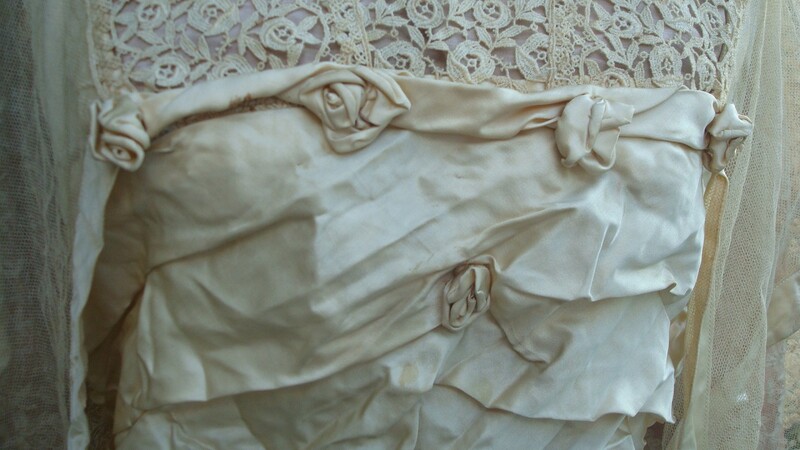 I do not see any tears or rips in the lace except for 1 small hole in the lace of the skirt. There are a few tiny moth holes in various spots like near the underarms. 1 flower missing. 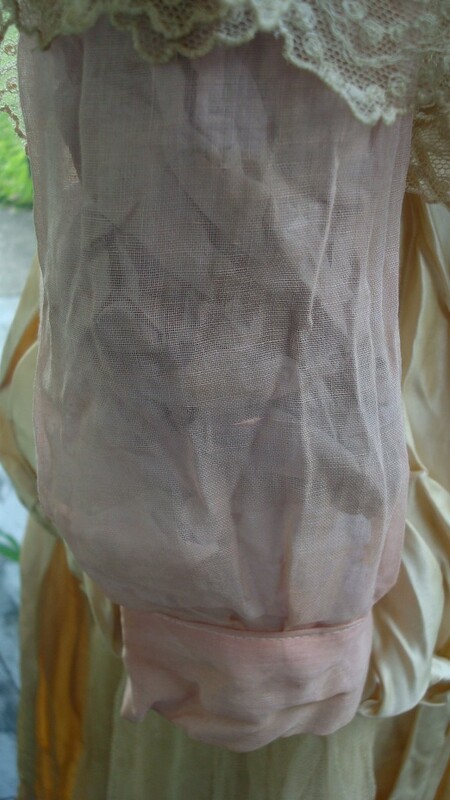 Shattering on the inner lining of the blouse and some shattering on the waist of the skirt on the inner and outer part. These are all minor flaws that come with age. I think it has traveled through time well and makes a great display piece. Please review all the photos. I will be uploading more pics after the listing so scroll all the way down! *The picture included is just a re-printed photo. The previous owner wants to keeps the real photo in the family. The date of 1912 is highly suspect. My guess this is actually a couple of years later due to the lowered waistline and the tiers on the side.